We offer worship services at 8:30, 9:30, and 10:45 am. The 8:30 and 10:45 am services are traditional services in the main sanctuary. Our 9:30 service is a contemporary service in the Family Life Center that includes upbeat, contemporary praise and worship songs. All services are casual in nature, but intense in content. The time spent in God's presence is filled with song, prayer, silence, and response; regardless of which service you attend. During each service New Hope offers a unique prayer time. We offer a nursery 9:30 and 10:45 am services and Sunday School class time for youth and children during the 10:45 am service. 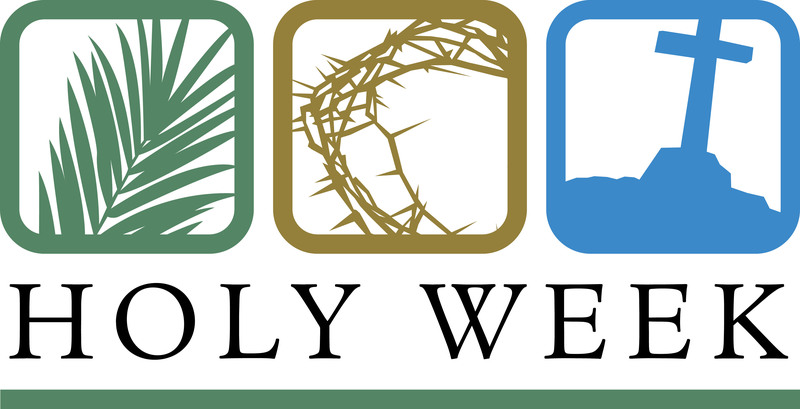 April 14 ~ Palm Sunday. Children’s Palm parade at all services. We will lead the children into service, and then they may sit with families. Thurs., April 18 ~ Maundy Thursday, 7:00pm. Maundy Thursday Service will be different this year and will be a very meaningful service. Expect dramatic readings, scripture, scenes, music, communion, and ending with the congregation gathered around the crosses. We hope you will come for this special worship service, and as always, invite a friend to come with you. Fri., April 19 ~ Good Friday Prayer Vigil. 7am-7pm, Ruby Chapel. We will have a 12 hour prayer vigil in the Ruby Chapel at New Hope or you may pray at home or work. This is a chance for the church to be in prayer on the day we remember the death of Christ, and what His sacrifice means to us. Sign-up sheets are found in Fellowship Hall. Sign-up sheets are in the Fellowship Hall. ~ 10:45 Easter Celebration for CLT students ages 4 years - 7th grade. 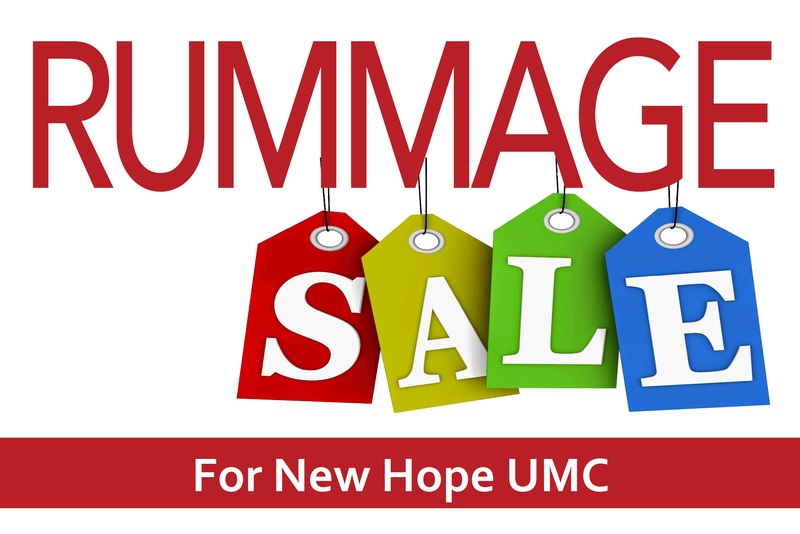 New Hope Annual Rummage Sale! 2019 is here and, believe it or not, time to start thinking of the 201p annual New Hope Rummage Sale. This event is our biggest fundraiser of the year and an important outreach event for New Hope. Start saving and sorting your items. Sunday, April 28 is our donation day (12:30pm to 7pm). We ask that you further ready your items for donation by sorting them into separate bags/boxes either before donation or when you bring items in. Items will be displayed in separate areas (men’s clothing, women’s clothing, children’s clothing, shoes, kitchen items, electronics, lawn/garden, linens, books and crafts, household decor, toys, collectibles, and holiday) and it is INVALUABLE for our pre-sale volunteers to be able to focus on things other than sorting donations.